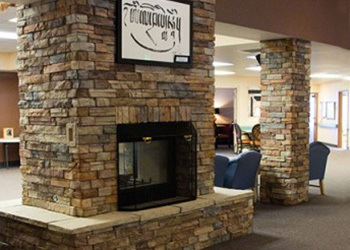 Brookside Inn offers an Alzheimer’s program for qualifying residents called Whispering Pines. This program provides Alzheimer’s residents with a whole-person approach to wellness including body, mind, and spirit. Our physicians, clinicians, therapists, and support staff partner together to develop a personalized care plan for our residents. We provide therapeutic activities and cognitive management along with appropriate treatment options for each resident in our care.